Combined Inhalation-Enteral Conscious Sedation | Update of Pharmacology and Review of Airway Management and Emergencies is organized by University of Maryland School of Dentistry (UMSOD) and will be held from Apr 26 - 27, 2019 at University of Maryland School of Dentistry, Baltimore, Maryland, United States of America. The target audience for this medical event is Dental Team. 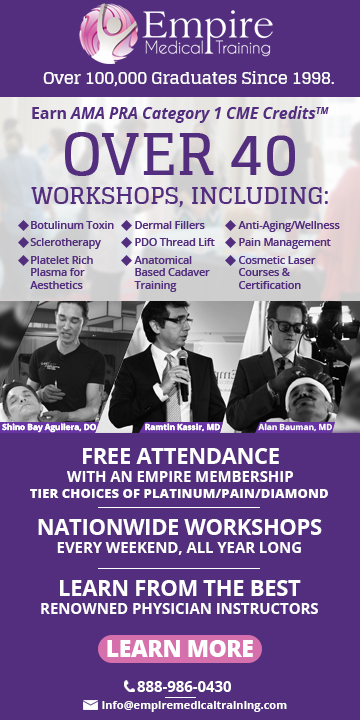 This CME Conference has been approved for a maximum of 12 CDE credit hours / lecture, hands-on. CME : • Friday: Pharmacology Update of Enteral-Conscious Sedation - 5 CDE credit hours / lecture. • Saturday: Airway Management for Dentistry with Sedation | Management of Emergencies - 7 CDE credit hours / lecture, hands-on. Course​ Description : This two-day, 12-credit-hour course meets the requirements for renewal of a Class 1 permit for the use of non-parenteral anesthetic technique to attain the level of moderate sedation in adult dental patients. The Maryland State Board of Dental Examiners requires Class 1 permit holders to complete at least 10 hours of continuing education related to sedation or anesthesia in a classroom setting during the five-year term of the permit. Each day-long course can be taken individually or they can be taken together. Day One: Pharmacology Update of Enteral-Inhalation Sedation : Course​ Objectives are : • Describe the pharmacological differences between anxiolysis (no permit required) and moderate sedation (Class 1 permit). • List any new drugs recently developed by the sleep drug industry. • Define the current mechanisms of sedation induced by triazolam (Halcion), midazolam (Versed), lorazepam (Alivan), hydoxyzine (Atarax, Vistaril), zaleplon (Sonata), zolpidem (Ambien), and nitrous oxied; describe the use and mechanisms of action of flumazenil (Romazicon). • Descirbe the dosings, precautions, patient variability in response, overdose syndrome, abuse potential and hallucinatory syndromes associated with sedative drugs. • Define and describe the important druge adverse interactions between sedative druges and the most common medications, including new blood thinners and herbal supplements taken by medically-compromised patients. • Discuss the literature reports on the use of triazolam (Halcion) as an oral sedative in dentistry; discuss pharmacokinetic data associated with oral and sublingual triazolam (Halcion). • Describe the use of local anesthetics during the sedation paradigm. • Disucss the use of post-operative analgesics in the patient recovering from sedation. • List the antinauseant drugs that are somewhat effective in treating postoperative nausea/vomiting. Day Two: Airway Management for Dentistry with Sedation | Management of Emergencies : Course Description : Safety in sedation for dentistry is largely dependent on maintaining a clear and patent airway, as well as preparing for emergencies. This course will cover the most common "what if" scenarios. The presentation includes videos, hands-on management with manikins, as well as a PowerPoint presentation. Dr. Leventer will cover emergency scenarios as listed in the Maryland State Board of Dentistry requirements for a Class 1 oral sedation permit. He will also discuss airway anatomy, respiratory mechanics and monitors, such as pulse oximeter and precordial stethoscope. • Management of Dentistry with Sedation. ○ Review the anatomy of the upper and lower airway ○ Understand the criteria for preoperative airway evaluation ○ Review respiratory mechanics ○ Explain the physiology of exchange of oxygen and carbon dioxide ○ Understand methods of supplemental oxygen • Management of Emergencies. ○ Laryngospasm. ○ Foreign body airway obstruction. ○ Emesis and aspiration. ○ Acute allergic reaction. ○ Bronchospasm. ○ Angina. Additional details will be posted as soon as they are available. American Society of Pediatric Nephrology (ASPN) Annual Meeting is organized by American Society of Pediatric Nephrology (ASPN) and will be held during Apr 27 - 30, 2019 at Baltimore, Maryland, United States of America. Additional details will be posted as soon as they are available. Point-of-Care Ultrasonography for the Acute Care Provider is organized by Johns Hopkins University (JHU) and will be held from Apr 27 - 28, 2019 at The Johns Hopkins Medicine Simulation Center, Baltimore, Maryland, United States of America. Target Audience: Anesthesiology, Cardiovascular Disease, Critical Care Medicine, Emergency Medicine, Pediatrics, Physician Assistant, Pulmonary Disease, Pulmonology Accreditation: The Johns Hopkins University School of Medicine is accredited by the Accreditation Council for Continuing Medical Education (ACCME) to provide continuing medical education for physicians. Credit Designation Statement: The Johns Hopkins University School of Medicine designates this live activity for a maximum of 14.25 AMA PRA Category 1 Credits™. Physicians should claim only the credit commensurate with the extent of their participation in the activity. Maintenance Of Certification: Successful completion of this CME activity, which includes participation in the evaluation component, enables the participant to earn up to 14.25 Medical Knowledge MOC points in the American Board of Internal Medicine’s (ABIM) Maintenance of Certification (MOC) program National Commission on Certification of Physician Assistants: PAs may claim a maximum of 14.25 Category 1 credits for completing this activity. NCCPA accepts AMA PRA Category 1 Credit™ from organizations accredited by ACCME or a recognized state medical society. Contact Hours for Non-Physicians: The Johns Hopkins University has approved this activity for 14.25 contact hours for non-physicians. Description: This course will familiarize participants with basic acquisition skills and image interpretation associated with point-of-care ultrasonography. Participants will learn point-of-care imaging concepts associated with examination of cardiac, lung, abdominal, and vascular procedures through a mixture of didactic lectures, hands on training sessions, case discussions, and simulation experiences. 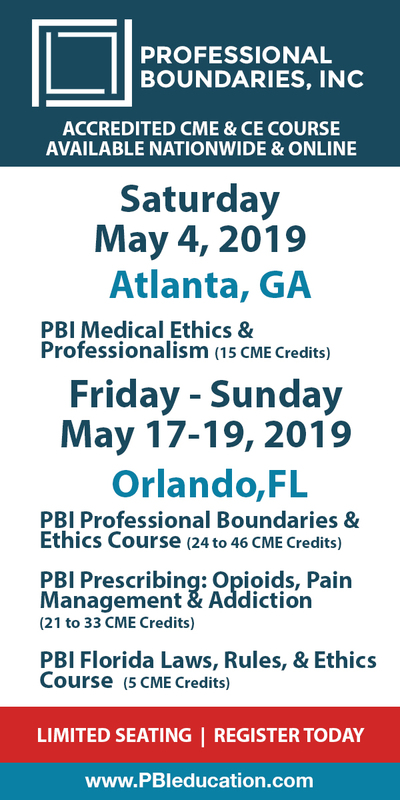 Who Should Attend: This activity is intended for anesthesiologists, cardiovascular disease physicians, critical care medicine physicians, emergency medicine physicians, internists, pulmonologists, surgeons, as well as physician assistants, and nurse practioners. Objectives: • Identify evidence-based applications of ultrasound for the management of the acute care patient. • Describe and interpret basic views for real-time ultrasound-guided vascular access and vascular examination. • Describe and interpret basic trans-thoracic cardiac and lung ultrasound views. • Discuss basic ultrasound algorithms for the assessment of the unstable patient. 29th Annual Conference on the Clinical Care of the Patient with HIV and Care of Patients with Viral Hepatitis is organized by Johns Hopkins University (JHU) and will be held from Apr 29 - 30, 2019 at Renaissance Baltimore Harborplace Hotel, Baltimore, Maryland, United States of America. Who Should Attend Internists, Family Practitioners, Infectious Disease Clinicians, Nurses, Nurse Practitioners, Physician Assistants, Social Workers, Counselors, Pharmacists, Case Managers and other allied health professionals practicing in the area of HIV. Credit Designation Statement The Johns Hopkins University School of Medicine designates this live activity for a maximum of 13.25 AMA PRA Category 1 Credits™. Physicians should claim only the credit commensurate with the extent of their participation in the activity. Other credits American Academy of Family Physicians This Live activity, 29th Annual Clinical Care of the Patient with HIV Infection and Care of Patient with Viral Hepatitis, with a beginning date of 04/29/2019, has been reviewed and is acceptable for up to 12.75 Prescribed credit(s) by the American Academy of Family Physicians. Physicians should claim only the credit commensurate with the extent of their participation in the activity. National Commission on Certification of Physician Assistants (NCCPA): PAs may claim a maximum of 13.25 Category 1 credits for completing this activity. NCCPA accepts AMA PRA Category 1 Credits™ from organizations accredited by ACCME or a recognized state medical society. The Johns Hopkins University School of Medicine is authorized by the Maryland State Board of Examiners of Psychologists as a provider of continuing education. The Johns Hopkins University School of Medicine maintains responsibility for this program. A certificate for 13.25 CEUs will be awarded upon completion of this activity. The Maryland Board of Social Work Examiners certifies that this program meets the criteria for 13.25 credit hours of Category 1 or 13.25 CEUs of continuing education for social workers and associates licensed in Maryland. The Johns Hopkins University School of Medicine is an approved sponsor of the Maryland Board of Social Work Examiners for continuing education credits for licensed social workers in Maryland American Board of Internal Medicine’s (ABIM) Maintenance of Certification (MOC) Program Successful completion of this CME activity, which includes participation in the evaluation component, enables the participant to earn up to 13.25 MOC points in the American Board of Internal Medicine’s (ABIM) Maintenance of Certification (MOC) program. Participants will earn MOC points equivalent to the amount of CME credits claimed for the activity. It is the CME activity provider’s responsibility to submit participant completion information to ACCME for the purpose of granting ABIM MOC credit. Course Description The purpose of this activity is to provide a state-of-the-art overview of the clinical care of patients with HIV infection for practicing clinicians and other health professionals. The activity will include discussions of HIV and viral hepatitis epidemiology, clinical management and treatment, and longitudinal care. The material will be clinically oriented with a focus on the latest pertinent data from clinical trials and basic research. Participants can expect to become more familiar with the primary care of the patient with HIV infection and the management of clinical complications of HIV disease. Objectives After attending this activity, the participant will demonstrate the ability to: • Articulate a variety of providers’ perspectives on HIV treatment priorities. • Improve the management of viral hepatitis and other liver morbidities. • Address co-morbid conditions in people living with HIV, including metabolic, renal, and psychiatric disease. • Tailor communication and treatment strategies for underserved populations at risk for, or living with, HIV and/or viral hepatitis. Nursing Negligence: Even If It's Not Your Fault, It Will Be Your Problem is organized by PESI HealthCare and will be held on Apr 30, 2019 at Inn at The Colonnade Baltimore - a DoubleTree by Hilton Hotel, Baltimore, Maryland, United States of America. The target audience for this medical event is Nurses, Nurse Practitioners, Clinical Nurse Specialists. This Conference has been approved for a maximum of 6.3 contact hours. Course Description: Jessica attended a nursing program with stellar faculty and great internships. She had always heard, "if you don't document, you will get in trouble". No one could explain what that meant. During her orientation as a new graduate, her preceptor taught her how to document the unit requirements and reassured her that writing much more was a waste of time. Jessica never questioned otherwise. At this time in her career, Jessica was thinking… "I don't worry much about charting; the computer takes care of that. As long as I chart what my unit audits for, I can sleep soundly." 2 years later Jessica sat down quietly at the deposition table, her head hung low and she hadn't slept in months. They asked her to say and spell her name for the court reporter and she was sworn in. "Do you promise to tell the truth, the whole truth and nothing but the truth?" If this could happen to Jessica, it could happen to you. But how did this happen? How did what Jessica charted turn into a deposition proceeding? How does this happen to any good nurse? Healthcare today is rife with litigation against nurses. There is more accountability, reliability, autonomy, and liability. The rate of nurses becoming part of lawsuits is steadily on the rise. Join Legal Nurse Consultant, Cyndi Zarbano, for this interesting and intriguing look into nursing documentation. This intense workshop will immerse you into the world of nursing from a litigious viewpoint. Conference Objectives: • Plan to use factual tactics to stay out of court. • Assess time stamping in your charting for contemporaneous patient accounts. • Explain deposition behaviors that favor your credibility. • Summarize hazards of inconsistent use of drop down boxes. • Distinguish between defense counsel that is for or against you. • Formulate habits that keep your license safe. • Analyze the chart specific to your specialty. • Contrast between poor and exceptional quality charting. • Summarize common charting mistakes and how to avoid them. 46th Annual Pediatric Trends is organized by Johns Hopkins University (JHU) and will be held from Apr 30 - May 03, 2019 at Johns Hopkins School of Medicine, Baltimore, Maryland, United States of America. Who Should Attend: This activity is intended for pediatricians, general practitioners, nurse practitioners, PAs, pediatric subspecialists, pediatric residents, pediatric subspecialty fellows, family practitioners and other allied health professionals interested in the care of infants, children and adolescents. Accreditation: Credit Designation Statement The Johns Hopkins University School of Medicine designates this live activity for a maximum of 28.25 AMA PRA Category 1 Credits™. Physicians should claim only the credit commensurate with the extent of their participation in the activity. Maintenance Of Certification American Board of Pediatrics (ABP) Completion of this activity and associated assessment enables the participant to earn 28.25 ABP MOC Part 2 points. Other Credits National Commission on Certification of Physician Assistants (NCCPA) PAs may claim a maximum of 28.25 Category 1 credits for completing this activity. NCCPA accepts AMA PRA Category 1 Credit™ from organizations accredited by ACCME or a recognized state medical society. The Johns Hopkins University has approved this activity for 28.25 contact hours for non-physicians. Course Overview: Pediatric Medicine is evolving on a daily basis and it can be difficult for a general pediatric practitioner to remain up-to-date on new standards of care, therapies, and medications. The goal of this course is to fulfill the need in the practicing pediatric community to increase and improve competence in the field of pediatric medicine and to integrate best practices based on evidence-based medicine and current research. Dr. Ngo reached out to division leaders to discuss potential topics related to their subspecialty that may be of particular interest to the general practitioner. This will assist in closing the gap between community and academic medicine. Objectives: • Explain the step-by-step approach to managing a well-appearing febrile infant. • Describe the evaluation and management of a patient who presents with chest pain. • Discuss the pathophysiology, evaluation, and management of bacterial meningitis. • Identify patients with short stature who require additional work-up. Introduction to Curriculum Development Concepts is organized by Johns Hopkins University (JHU) and will be held on May 01, 2019 at Johns Hopkins Bayview Medical Center, Baltimore, Maryland, United States of America. Target Audience: General Practice Overview: This four hour introductory workshop provides a brief overview of curriculum development principles and practical exercises in applying some of the most important curriculum development steps. It introduces participants to resources and faculty development opportunities for further developing one's curriculum development skills. Objectives: • Describe the knowledge and apply the skills necessary to effectively design, implement, and evaluate a curriculum • Design,.pilot, and formulate plans for the implementation of a curriculum in medical education relevant to the needs to their learners and institution as well as to their own professional career • Explain their work to the academic community. Additional details will be posted as soon as they are available. Advances in Vascular Surgery and Endovascular Therapy 2019 is organized by University of Maryland School of Medicine and will be held from May 02 - 04, 2019 at SMC Campus Center, Baltimore, Maryland, United States of America. This CME Conference has been approved for a maximum of 19.50 AMA PRA Category 1 Credits™. Course Description: This educational activity will cover a full spectrum of vascular diseases, including thoracic and abdominal aneurysms, venous thrombosis and interventions, vascular access, peripheral vascular disease, carotid stenting and other up-to-date topics. Who Should Attend: This meeting will be of interest to vascular surgeons, cardiac surgeons, interventional cardiologists, interventional radiologists, nurse practitioners, physician assistants, surgical residents, vascular fellows, nurses, radiology techs, vascular techs, and other health care professionals. Course Objectives: At the conclusion of this activity, participants will be able to: • Recognize the importance of interdisciplinary teams and how they work together to achieve positive patient outcomes. • Employ evidence-based best practice. • Identify a wide spectrum of vascular disease and treatment plans. Additional details will be posted as soon as they are available.